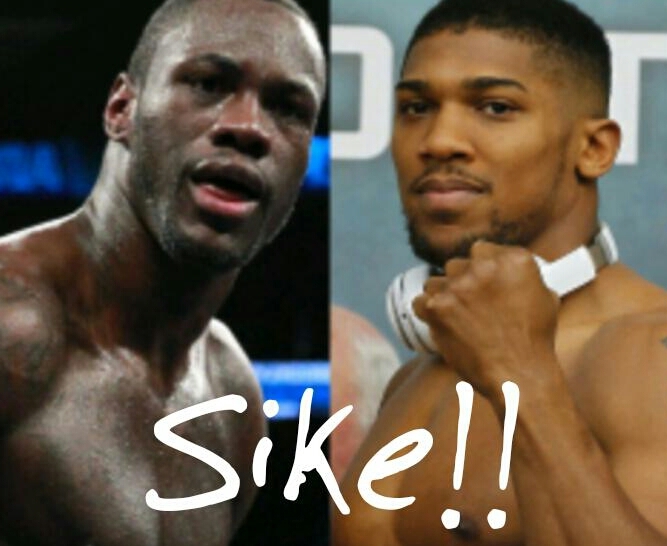 Anthony Joshua, fresh off his victory over Joseph Parker, was asked who he wanted to fight next and his response during the post-fight press conference was simple; “Wilder”. Joshua and his promoter, Eddie Hearn, have faced criticism this week due to what some seen as a “lack of enthusiasm” when they were asked about WBC champion Deontay Wilder. Joshua went the full 12 rounds for the first time in his career tonight against Parker. He answered questions many had about his stamina by maintaining a measured but consistent output throughout the fight. The discipline he showed was one of the concerns some pundits had about him prior to tonight as well. A fight between Joshua and Wilder is arguably the biggest fight that can be made in the sport at this time. It would be a battle to determine the undisputed heavyweight champion of the world, which the sport of boxing hasn’t seen since Lennox Lewis, contrary to what Showtime may say. While we’ve seen Wilder make a concerted effort to mention Joshua’s name every time he’s gotten the chance recently, his team hasn’t reached out to Hearn about actually getting a deal done according to the Matchroom boss. Hearn hasn’t done more than talk about a fight on social media himself, so the blame lays on both sides. Basically, since Twitter has never been responsible for a fight getting made, a serious effort to make the fight hasn’t really been made by either side. Fights are negotiated behind closed doors and if this fight is gonna happen then it too will be negotiated the same way.